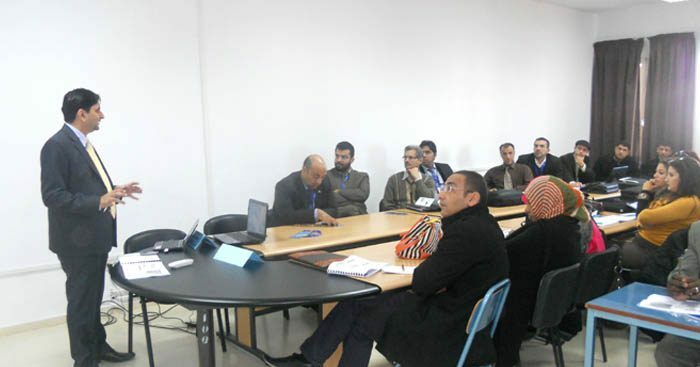 The 3rd International Workshop on ‘Internet Security: Enhancing Info rmation Exchange Safeguards’ was jointly organized by COMSATS; the Islamic Educational, Scientific and Cultural Organization (ISESCO); the Inter Islamic Network on Information Technology (INIT); the Higher Institute of Technological Studies (ISET) of Nabeul, Tunisia; and the COMSATS Institute of Information Technology (CIIT), Pakistan, on December 9-13, 2013, in Nabeul, Tunisia. The event is third of the series of events on the theme being held to train IT professionals of common member countries of COMSATS, ISESCO and INIT, enabling them to collectively address issues and challenges related to information and Internet security. H.E. 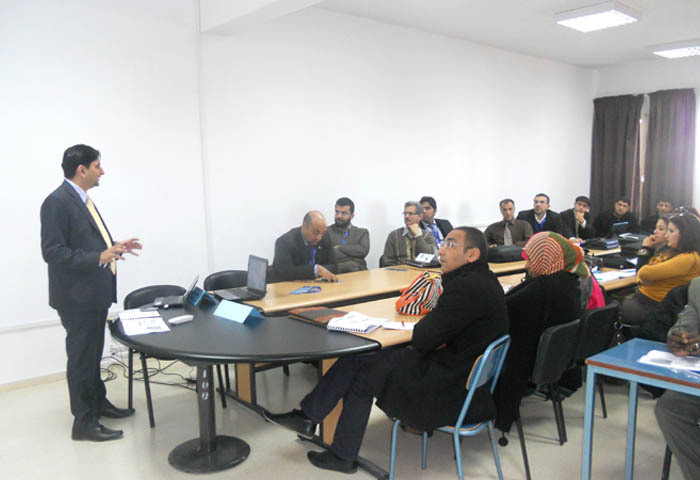 Dr. Moncef Ben Salem, Minister for Higher Education and Scientific Research, Government of Tunisia, had inaugurated the training workshop on 9th December 2013. Hosted by the ISET Nabeul, the five-day event provided a forum to the participating researchers and professionals to learn about the latest advancements in the field of Internet security; promote the use of state-of-the-art technologies for protection of network and network accessible resources from different types of software attacks; and identify effective Internet/information security solutions for general public, governmental organizations and commercial enterprises through rigorous risk analyses and security management approaches. About 35 young researchers, practitioners, academicians, system administrators and programmers working in the field of Internet/information security from Algeria, Iran, Morocco, Pakistan, Sudan, Tunisia, and Turkey benefited from the proceedings of the workshop. During the technical sessions of the workshop, five resource persons conducted the workshop: Dr. Malik Najmus Saqib , Assistant Professor, CIIT, Pakistan; Mr. Zafar Mir, Regional Manager, Information Security Risk, MENA – HSBC, UAE; Mr. Asad Raza, Lecturer of Information Technology (Networking & Security), Majan University College, Oman; Dr. Ayman Mohammad Bahaa Eldin, Associate Professor of Computer Engineering, Ain Shams University, Egypt; and Ms. Wala Turki, Chief Engineer Officer of the Information System Security, Center for Studies and Research in Telecommunications (RSSI), Tunisia. The training modules pertained to various important subjects relating to Cryptography and Web Security, Organizational Security, Ethical Hacking, Cyber Security and Information Security Design Principles, and Offensive Security. 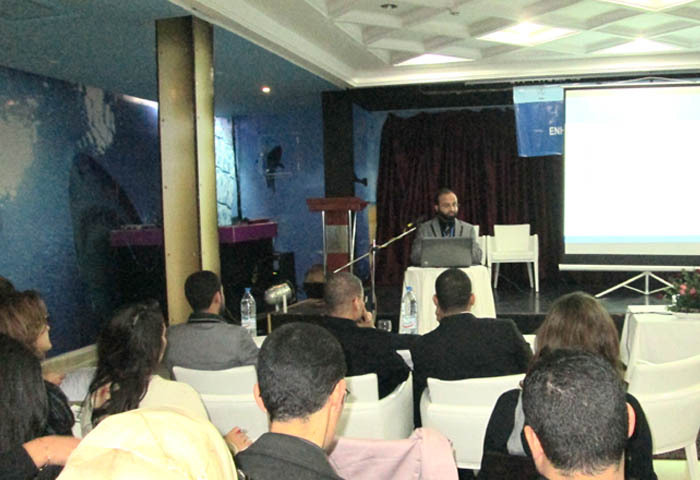 The specific topics covered during the workshop included: Symmetric Key and Asymmetric Key Cryptography; Block Ciphers and Stream Ciphers; Hash Functions; Digital Signatures; Data Encryption; Secure Electronic Transaction; Authentication Application; Industry Standard Bodies and Industry Standards; Security Policies, Objectives and Procedures; ISO 27001 ISMS Standard and related ‘Security Controls’; Risk Assessment and Risk Assessment Plan; Information Assets Inventories; Business Continuity Plan; Disaster Recovery Plan; Cloud Computing Security; Cloud Assurance and Governance Models for Business Organizations; Ethical Hacking; Metasploit Framework; Meterpreter; Post Exploitation and Back Dooring; Dissecting Cyber Attacks; Distributed DoS Attacks & Mitigation Techniques; Advanced Attack Techniques; Digital Spying; Hacking Wireless Networks; Passwords Hacking and Cracking; Information Gathering and Google Hacking; Vulnerability Scanning and Exploitation; and Network Security. Speaking at the Concluding Ceremony held on December 13, 2013, Mr. Tajammul Hussain, Advisor (Programmes), COMSATS Headquarters, emphasized the importance of Internet and information security at the levels of individuals, institutions/ organizations and countries. He called for a stronger collaboration among research organizations and universities of developing countries, and offered the human and technological resources available with COMSATS to address issues related to internet/information security. He also thanked ISESCO and INIT for their continuous support towards capacity-building activities of COMSATS. 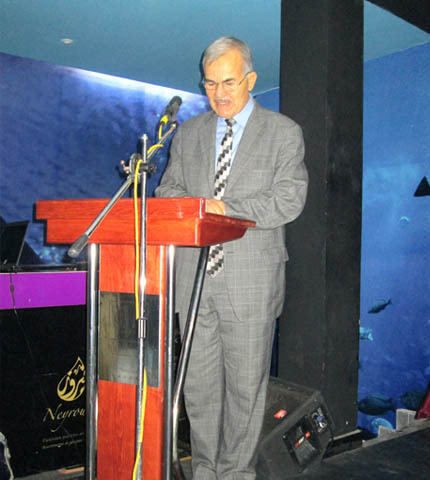 Mr. Foued Landolsi, Director ISET, Nabeul, thanked ISESCO, COMSATS and INIT for their financial and technical contributions towards the event, and appreciated the local and foreign participants for their active participation during the workshop. The ceremony concluded with the distribution of certificates to local and foreign participants.